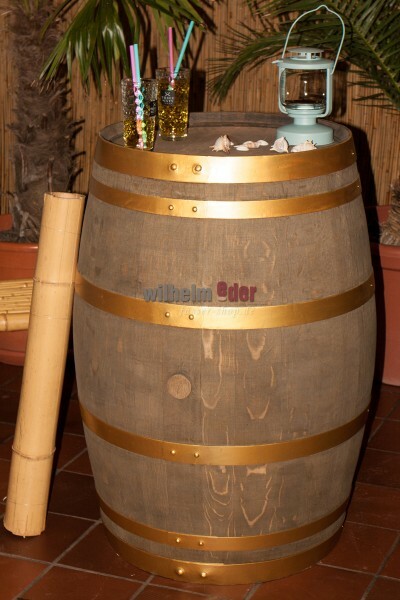 Product information "Decoration barrel 225 l - Golden Style"
The used 225 l barrel is processed in our workshop. An optical highlight, in flotsam stain and with golden rings. The barrels are technically in good condition, but no longer suitable for the use of food. Every oak barrel is unique. Different colorations arose from the precious content that once stored them. Small notches in the wood or small bumps are not quality defects but rather determined by the nature of the construction and the prior use of the barrels. 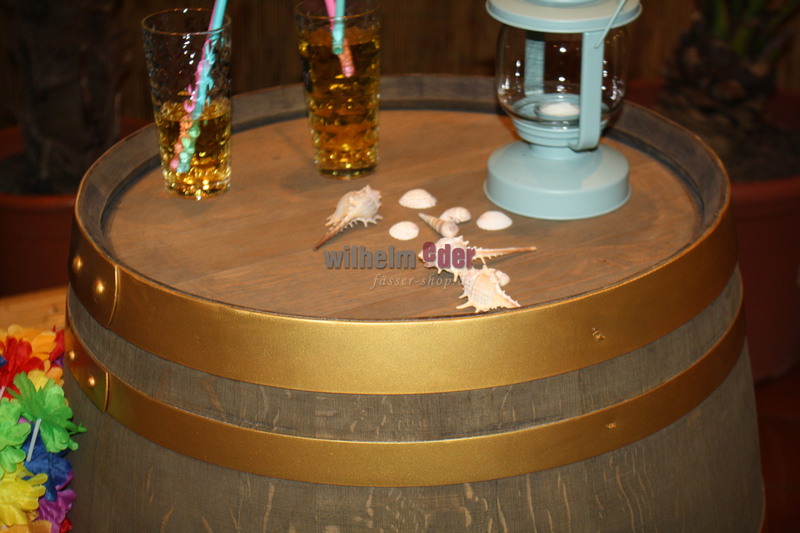 Hardly any other piece of furniture spreads so much authenticity, Spirit and feel-good atmosphere like a wooden barrel, each telling a different story from days gone by.